Indiana Jones is back, in a brand new way! 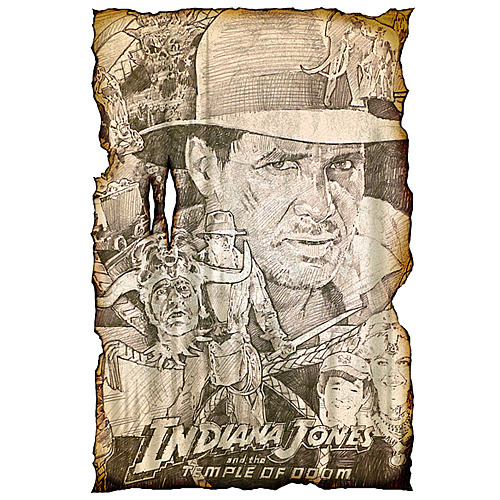 This stunning giclee on paper titled "Temple of Doom: Key Art Concept" features artwork from Indiana Jones and the Temple of Doom, and measures 13-inches wide x 19-inches tall. This uniquely-styled piece is hand-distressed and cut out along the sides to emulate the look and feel of an original sketch on well worn paper. Limited to just 195 pieces, capture the adventure on your wall today!